In 2019, the emergence of cutting-edge technologies like 5G and foldable screens are indicating a never-seen-before mobile innovation. In such a time frame, the launch of the beta version of Android Q for the for early adopters and a preview SDK for developers is a highly anticipated move from Android team. In the latest Android build, privacy and security of users data have been kept at the centre by the Android development team. A host of additional safety and privacy features, new camera capabilities and media codecs, NNAPI extensions, Vulkan 1.1 support, faster app startup, and runtime permissions are some of the major highlights that will be seen in the upcoming beta version of Android Q. Here is a detailed list of all the upcoming features in the beta version of Android Q launched specifically for the early adopters. 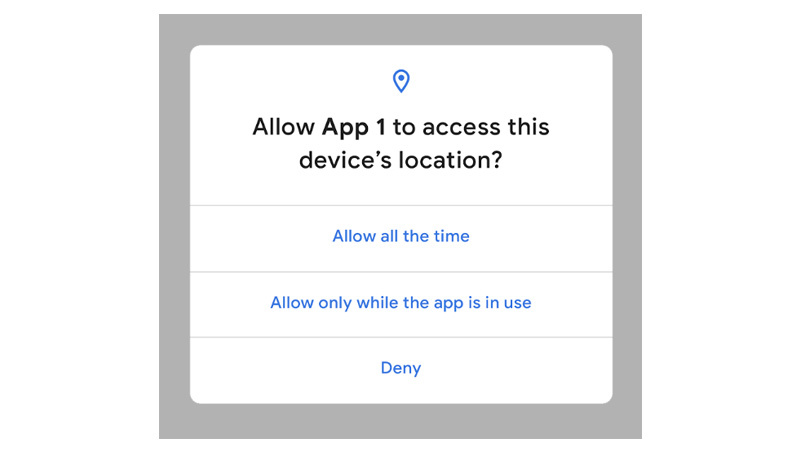 Keeping an utmost focus on user privacy, the beta version of Android Q will allow a particular app to access user location only when it is asked and granted by the user. The updated version will also provide flexibility to users in terms of granting location access permission to a particular app. Users can set the location visibility to never, only when an app is in use (running mode) or all the time (background too). The new beta update of Android Q will also ensure transparency by allowing the users to control and secure their personal data. Apps accessing the photos, videos or the audio collections in the system can be controlled via new runtime permissions by the users. Further, Android users in the new beta version of Android Q can prevent apps from launching activity in the background, and taking unexpected jumps to appear in the foreground for user attention. If required user attention immediately, the users can also set a high priority notification and full-screen intent for the specific apps. The access to non-resettable device identifiers like device IMEI, the serial number can also be put to limited in the upcoming Android Q beta version. In order to provide a seamless experience to users on new foldable and large screen devices changes has been introduced in the onResume and onPause functionality. This will support multi-resume and notify your app when it has screen focus in the upcoming beta version of Android Q. Similarly, the resizeableActivity manifest attribute has also been changed in order to assist uses how a particular app will be displayed on their foldable and large screen devices. 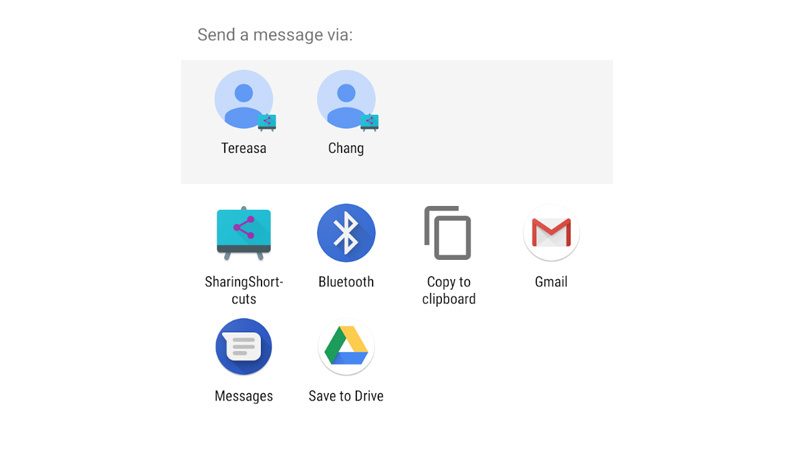 Sharing shortcut feature has also been added in the upcoming Android Q beta version to allow users to jump directly into another app to share content with others. This is an extremely handy feature for uses as it will faster the content sharing process in other apps. For sharing shortcuts feature, ShortcutInfo API has been expanded in order to integrate both the app shortcut and sharing shortcuts feature together. For developers, this new API has also been added into the new ShareTarget Android X library. In the upcoming Android Q beta version, a new settings panel can also be invoked by a particular app to show the necessary settings to the users that might be required by the app to run properly. For instance, a browser app many display a floating settings panel that includes settings like Airplane Mode, Wi-Fi (including nearby networks), and Mobile Data. It is extremely convenient for the users as they will not be required to leave the app and manage settings easily through this floating panel. Read Also: How to Wipe Android Phone Data Securely When You Selling Your Smartphone? 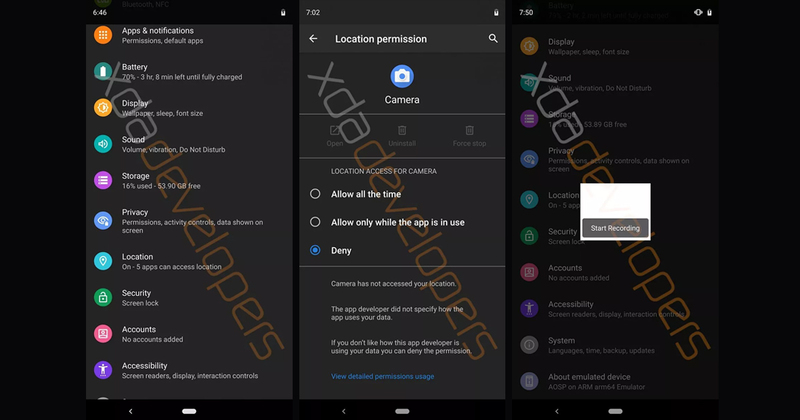 In the upcoming Android Q beta version, most of the APIs will require FINE location permission for r Bluetooth, Cellular and Wi-Fi, instead of COARSE location permission used earlier for scanning networks. A new Wi-Fi standard support, WPA3 and Enhanced Open, has also been added to boost security for home, work networks, and open/public networks. The new network connection APIs in Android Q beta version will make it extremely easy for the users to manage IoT devices over local Wifi. Similarly, for peer-to-peer functions like configuring, downloading, or printing, Apps can initiate connection requests indirectly by specifying preferred SSIDs & BSSIDs as WiFiNetworkSpecifiers. 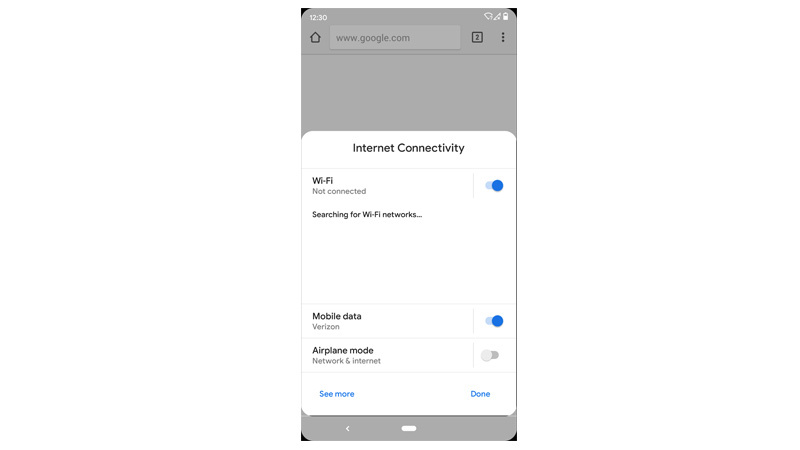 Moreover, the new network suggestion APIs will allow the apps to display preferred Wi-Fi networks along with a ranked list of credible wifi networks to users for internet connection. In the upcoming Android Q, the apps can easily request for a Dynamic Depth image which consists of a JPEG, XMP metadata. 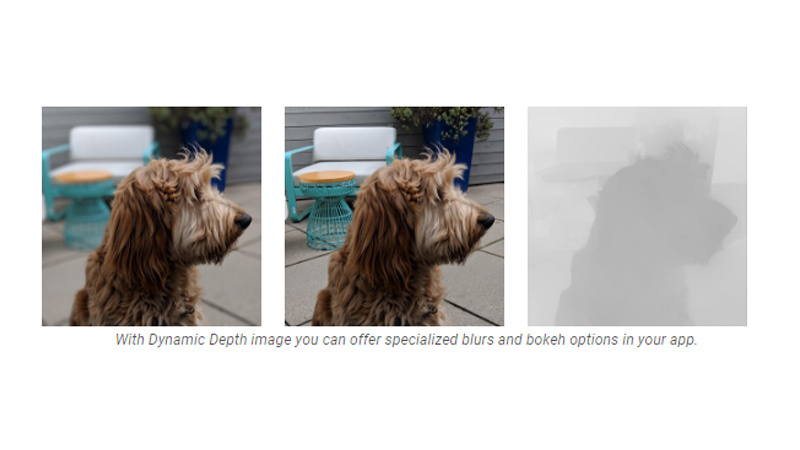 The use of a JPEG + Dynamic Depth image will enable the apps to offer special blur and bokeh option to users. this data can even be used for the creation of a 3D image of support AR photography. Support for the open source video codec AV1 has also been added in Android Q. This simply means users can stream high-quality video content to Android devices on less bandwidth. audio encoding using Opus and HDR10+ will also be supported on the new Android Q by default. The video rendering capabilities of your Android Q-based device can also be determined easily using the new MediaCodecInfo API. A native MIDI API has also been added in Android Q for apps that perform audio processing in C++ to retrieve MIDI data inside an audio callback, using a non-blocking read, enabling low latency of MIDI messages. Experimental support for ANGLE, a graphics abstraction layer, on top of Vulkan has been provided for the Android-Q devices for more consistency for game and graphics developers. 60 new ops including quantized LSTM, ARGMAX, ARGMIN, along with a range of performance optimisations have been added to support and improve existing functionality of existing neural network APIs. To improve the app startup time and minimize the memory consumption required by apps for launch, several improvements have been introduced in the ART runtime in the upcoming beta version of Android Q. 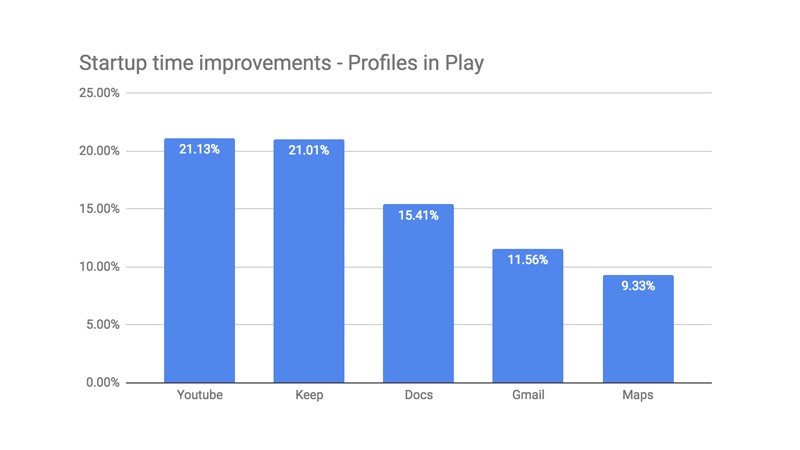 In the Android Q beta version, Google Play will deliver cloud-based profiles along with APKs to precompile parts of users app before they run to provide a significant jump-start to the overall app optimization process. This will speed up the app opening time and will benefit all the apps that are readily available on Android P and higher. For developers side, significant ART improvements are provided in Android Q beta like optimized Zygote process, the addition of Generational Garbage CC to Concurrent Copying (CC) Garbage Collector. In the Android Q version, support for passive authentication methods such as face, and adding implicit and explicit authentication flows has been provided. In explicit flow, users will be required to confirm the transaction in the TEE during authentication. Implicit flow is a lightweight alternative for the transactions requiring passive authentication. A revised TLS standard, TLS 1.3 has also been added to Android Q to reap better performance benefits and enhanced security. In order to ensure smooth app run despite OS changes, the new Android Q beta version will restrict access to more non-SDK interfaces and will ask developers to use the public equivalents for Apps using non-SDK APIs. This will contribute to Android’s long-term initiative of moving apps toward only using public APIs, started during the Android P version. Public alternative APIs will be continually added to support a smooth transition to Android Q and prevent app breakdowns for app developers. The Android team is working hard to allow all the apps to take advantage of the latest security and performance features in its latest Android Q version. Later at the end of 2019, Google play will prompt users to set your apps target SDK Version to 28 (Android Pie) in new apps and their updates. Users will also be warned during the first run of an app that targets a platform earlier than the API level 23 (Marshmallow). 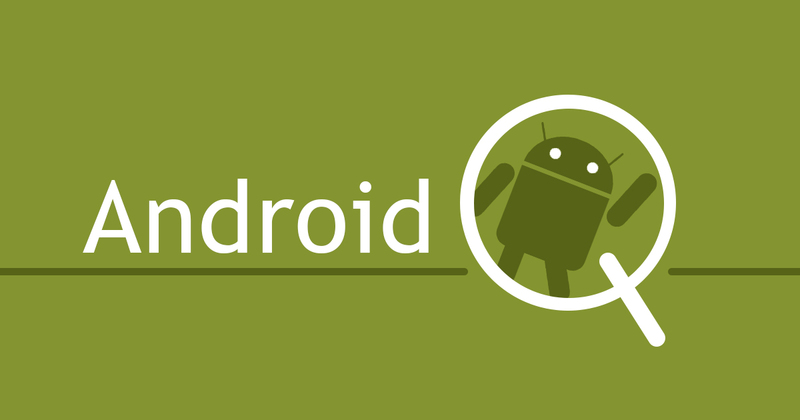 The Android ecosystem is also moving towards readiness for 64-bit devices. Sooner, 64-bit support will be seen in all apps present on the Play Store. The very famous Search Engine, Google, made several announcements regarding very interesting things including GSI, Generic System Image. It hinted regarding the availability of Android Q for the Developers at an earlier pace additionally, no emulator or specific hardware is required. This certainly meant that the Developers would be able to test the Android Q even if the source code has not been made available on AOSP. In addition to all above, features of foldable phones were also discussed hinting towards their launch. The Features discussed via announcement were; multi-resume, screen continuity, and multi-display features. The multi-resume feature is expected to be one of the distinguished feature coming with Android Q expectedly next year. When we look back to last year, we find that similar pre-announcements have been made by Google. At that time, it unveiled Project Treble in order to avoid further delay in getting the Android smartphones updated by the OEM partners. GSI(Generic System Image) (source AOSP) which is a pure, unmodified form of an Android system has been highlighted through the project Treble. Treble had also raised the issue of fighting the fragmentation problem. Google has been constantly seen talking about and promoting GSI and the same was witnessed in the Dev summit where Google detailed its overall impact. Hung-Ying Tyan from Google’s Project Treble said that the ultimate motive of Google behind promoting GSI is to make GSIs more useful for the general public-developers and consumers alike. The news came from a report via XDA Developers. “GSI is the central piece in Treble compliance. We feel that it has a lot more potential than that. We set out a goal to make GSI be more accessible and useful, not just for device makers but also the general public including app developers like you and even consumers. An important first step toward that goal is to make GSI available in AOSP. So for this, we have published pie-gsi in AOSP. So now you can download and build pie-gsi today. We are also exploring ways to make future GSI available earlier than the release of the next Android version. So you will be able to try out next Android version earlier over GSI. And at the same time we can also get early feedback from you, so the benefit is mutual. So please stay tuned for our further announcement on this,” Tyan said in a statement. Thus, concludingly, the early testing of Android Q which might be possible next year would be benefiting modders and app developers alike and avoiding the use of an emulator or bringing new hardware in use which is done in the current scenario. Multi-resume is a new feature which would enable multiple apps to run on one screen at the same time. Generally, it happens that, when one app is opened, the other gets paused automatically, but by the use of the Android Q the facility of multi-window would be made available to the users and they would be able to run several apps on the same screen at the same time. Android Q, would be coming with this mandatory feature. Google, in one of its blogs, mentioned that multi-resume should be made as a mandatory feature in the next Android version. It talked that OEMs should be supporting this and then the multi-resume feature could be tested on Android Pie based devices. After all this, the App developers would have to opt the same using a manifest tag. 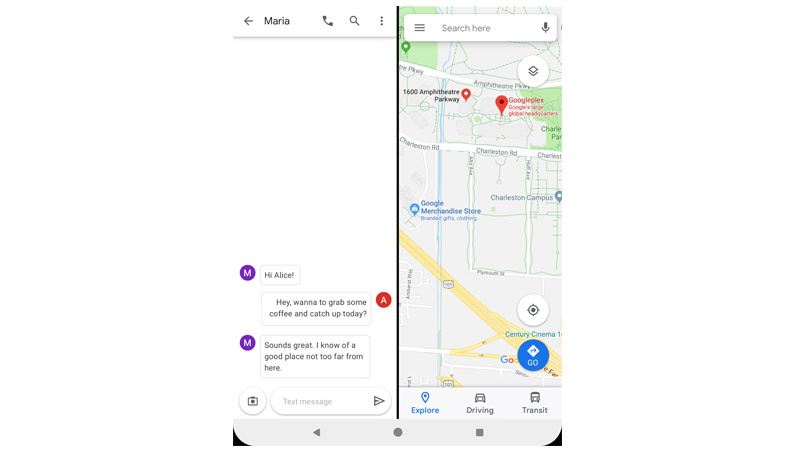 Google also made an announcement to introduce other features like ‘foldable screens’ which is a screen continuity feature that allows the user to transit from one screen to the other. « How to Wipe Android Phone Data Securely When You Selling Your Smartphone?